New game by me! (finally) So this was my layout created months ago, and thought I should decorate and complete it (with a small nerfs/buffs). 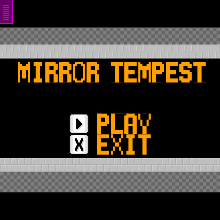 // The tempest surged through yourself and it's your reflected mirror mind telling you to escape... good luck.